Masteron, also known as Drostanolone is a dihydrotestosterone derived androgenic anabolic steroid. It was first introduced for medical use back in the 1960s. As with many steroids, Drostanolone was used to help treat advanced breast cancer. Nowadays, bodybuilders and gym rats use this compound as a performance-enhancing drug. You’ll find that there are two different esters of this compound. Masteron Propionate and Masteron Enanthate. Those are dosage administration and the half-life of the compounds. Masteron Propionate has an half-life of 2.5 days. To maintain stable levels, most users will choose to take Mast P every day or every other day. Of both esters, Propionate seems to be the most popular amongst bodybuilders. Both esters are administered through injection. It’s also interesting to know that Masteron Propionate was created by the same company as Anadrol. Enathate, also refered to as Mast E is the longer ester. This compound has a half-life of 10 days. Because of its long half-life, you can get away with taking it twice a week. Besides the fact that you’ll have to administer it less frequently, there is no mentionable difference between the two. Yet most bodybuilders swear by Propionate over Enathate. 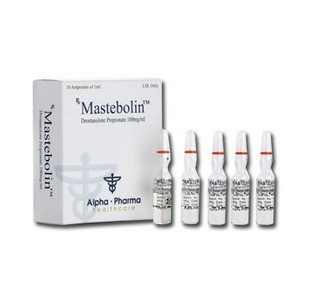 Masteron is considered to be a cutting steroid. 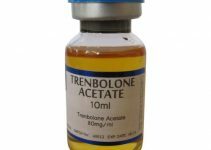 You’ll often see it stacked with compounds such as Winstrol, Testosterone, and Trenbolone. Most users are already quite lean before running a Masteron Cycle. It’s because it really shines once you are low body fat. It has strong muscle hardening effects and gives you a grainy look. Once you’re ~10% bodyfat you can expect Drostanolone to give you a great look. If you’re looking for a compound that can help with putting on a lot of size, it’s best to go with a different one. Make sure to check out Deca Durabolin or Equipoise. Drostanolone isn’t really efficient when it comes to building mass, it’s more used to chisel a physique. You’ll find a lot of people that say it helps them with pushing out water. This is why you’ll often see it used during contest prep. It’s combined with multiple cutting drugs including Clenbuterol to obtain a shredded physique. Some bodybuilders will also throw it in during a blast and cruise. Here’s an example of a Masteron Cycle. Most will run it Drostanolone for between 8 to 10 weeks. You’ll find users that run it for longer, it all depends on your goals. 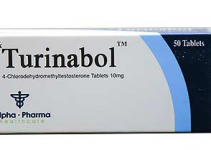 In some cases, bodybuilders will throw in an additional oral steroid such as Turinabol to kickstart the cycle. Once the Masteron cycle is finished, you will require a Post Cycle Therapy. A typical Masteron dosage is anywhere from 300 to 700mg per week. If you’re new to this compound, it’s advised to start out with a low dosage of 300mg per week. For most, the sweet spot seems to be around 500mg per week. Users that run Mast P at a higher dosage are usually stacking it with other compounds such as Trenbolone and Testosterone. As the most popular ester is Propionate, you’ll have to administer it every 1 to 2 days. If you’re going to do Enanthate it’s every 3.5 days. Let’s say your masteron propionate dosage is 350mg per week. This means you’ll be injecting either 50mg every day, or 100mg every other day. It really shines when it comes to muscle hardening effects. Muscle density also increases whilst on. It’ll make you appear more fuller, hence why it is often used for bodybuilding contests. It will help with giving your muscles a certain look. A lot of users also claim that it gives them great energy and pumps in the gym. Especially when it’s combined with other cutting compounds. Don’t expect miracles from Drostanolone when it comes to lean muscle gains. It’s mainly used for the effects it has to offer. If you’re looking to gain a lot of mass, you’re probably better off using Test and Dianabol. You should know that masteron does not aromatize. This means you won’t be experiencing any water retention or gynecomastia. This is also one of the many reasons people prefer to use it during a cutting cycle. What’s so great about this compound is that it has anti-estrogen properties. This means you probably won’t have to use ancillaries. It’s also not very liver toxic. However, I would always advise to run a cycle support product when running any type of steroid. However, as with all androgenic anabolic steroids, it does have side effects. After all, it’s a DHT derivative. If you’re prone to hair loss you have to be careful with this compound. It’s hard to say if you will experience any of these side effects. However, you have to know that there is a possibility of experiencing them. Female competitors can experience virilization when using this compound. Most women will prefer Anavar over Drostanolone. Masteron is a great but mild compound that has amazing effects. It’s available in two different esters but Propionate is the most popular one. This compound is mainly used during contest prep or whilst cutting. It’s important to be at a low body fat when using it. This way you’ll be able to experience Drostanolone’s full potential. It has anti-estrogen effects which make it interesting for a lot of bodybuilders. Overall, it’s an effective steroid that definitely has it’s place in bodybuilding.